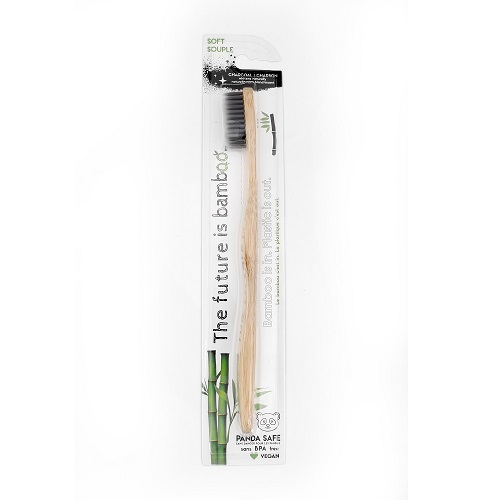 This is my first bamboo toothbrush. I like it. Wasn’t sure if I’d like the soft bristles but I do. I like using this brand. I feel the bristles are gentle on the gums, you don't taste the charcoal and your teeth feel pretty smooth. I will say haven't noticed my teeth whiten much but maybe in a few months I'll notice it. It's also a plus to be using a brush that isn't harming the environment.